Sheila acknowledged that on one level, the concept of basic income is easy to grasp, and yet on another level it is highly complex in nature. Fundamentally, basic income ensures that regardless of work status, Canadians have a guaranteed income to enable them to maintain basic needs, as well as the ability to participate in society. While Canada already has income programs in place (for example, Old Age Security), this applies to a specific demographic only (older aged individuals). A more universal structure needs to be established. Basic income matters now more than ever because (i) increasing income inequality exists among Canadians, resulting in social problems–a cost we are already paying for, and (ii) the future of the labour market is changing, whereby it is not just about working harder to ensure job security –our economy is changing and jobs are being permanently lost. Jonathan agreed with the importance of implementing a basic income structure, and stressed that any regime implemented must extend beyond the ability to afford basic fundamentals and encompass a “+” component, ensuring sufficient additional funds to protect and preserve autonomy of the individual, opportunity, and social mobility. The Broadbent Institute advocates long-term public policies which aim to alleviate poverty and minimize earning gaps among gender, demographic, and cultural groups and communities. Discussions are still ongoing as to the best proposals to put forward, the source of funding and the nature and size of any program put in place, but what’s important at this stage is to get the ball-rolling and conversation started as soon as possible. 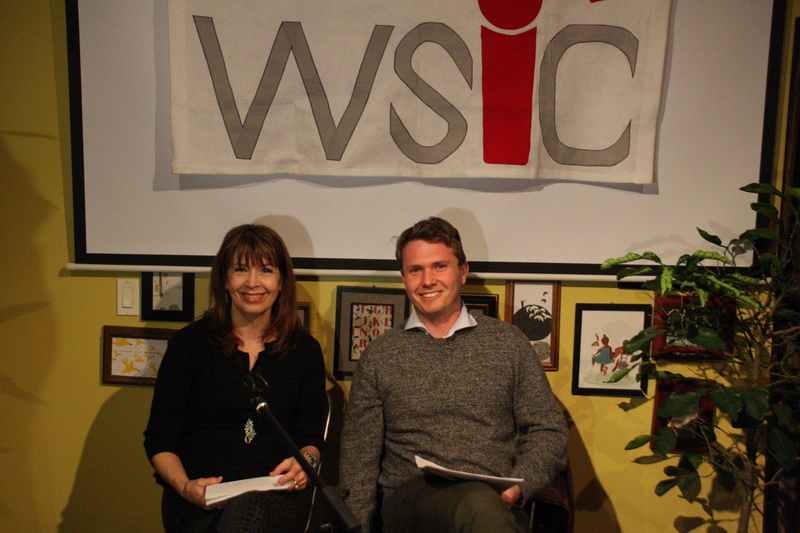 Many WSIC audience members seemed to share the view of our panelists on the importance of introducing a basic income regime to Canada. Many questions to our panellists centered on which political groups and organizations were actually focussed on pushing this concept forward. Questions were also asked as to how one could determine the exact parameters of a basic income program and what specific additional resources are needed above and beyond just ensuring that basic needs are met. It would appear that ironing out the details and mechnics of any such program remain a big obstacle in assembling a basic income proposal. One critique was that as a society Canadians have traditionally relied too much on our healthcare system as a default excuse to avoid basic income planning. Healthcare spending eats up so much of our budget, when it could be used instead to help individuals directly by putting money in their pockets and allowing them to build and develop their own projects and opportunities. Basic income affects all Canadians and all Canadians have a vested interest in the subject matter. Clearly an issue that is subject to debate and further discussion, our Basic Income event at the Wind-Up Bird hosted a full house of engaged WSIC audience members and we welcome all comments and conversations that were had. Until next time!